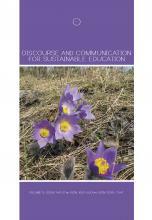 Discourse and Communication for Sustainable Education is an international, double blind peer-reviewed journal that provides a forum for the examination of policies, theories and practices related to discourse and communication for sustainable education. Since contemporary discourse study has extended its field to the study of multifaceted contexts of discourse, it is able to be integrated in the broader study of the phenomena of communication in relation to sustainable education. 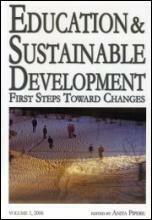 The journal Discourse and Communication for Sustainable Education publishes research articles and reviews. Its diversity is apparent in the variety of its theories, methods and approaches, thus avoiding the frequent limitation to one school, approach, academic branch. The only criteria will be the quality and the originality of its articles. 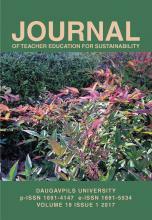 The journal Discourse and Communication for Sustainable Education welcomes articles which explore inspirational ideas in sustainable education, are written in innovative ways or are presented in experimental ways. It does not have article processing charges (APCs) nor article submission charges.